Let's face it: parenting is tough! And raising kids to follow Christ in a world that rejects Him is even tougher. What does it take for moms and dads to follow Christ in such a way as to influence the eternal destination of their children? 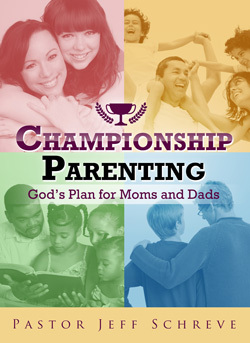 This 8-MESSAGE collection will challenge you to be the parent God designed you to be and truly lead by example. THE MESSAGES IN THIS COLLECTION ARE LISTED BELOW IN THE RELATED PRODUCTS SECTION.